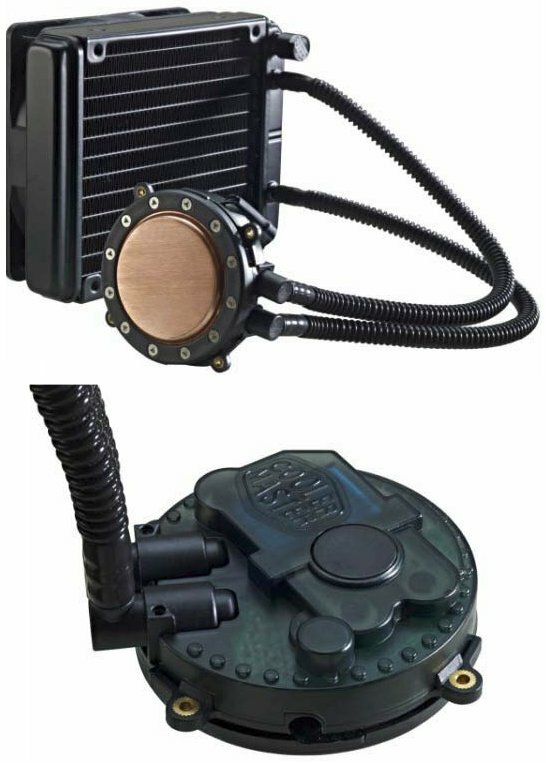 TPU received word that Cooler Master is working on the Seidon 120M, a new self-contained liquid cooling product that combines a copper micro-channel block with a 150.3mm x 118mm x 27mm aluminium fin radiator. The radiator is cooled by a 120mm PWM fan that spins between 600-2400RPM, with a noise level ranging from 19-40dBA, and the pump has a noise rating of 17dBA. The Seidon 120M will support all contemporary processors, including AMD AM3+/AM3/AM2+/AM2, FM2/FM1 and Intel LGA1155/1156, LGA2011, LGA1366, and LGA775.